This gallery is a part of EileanIarmain estate and hotel and displays some of the marvelous handworks of the local artists. The gallery holds regular exhibitions all-round the year and showcases the artistic talents present in the people of Skye. The paintings majorly comprise of the scenic beauty and bounty of Isle of Skye, human emotions and other abstracts. 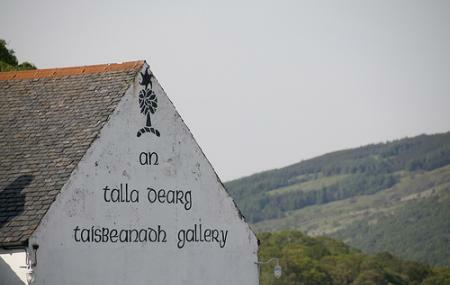 Re-discover the beauty of Sleat and Skye through the paintings of the Scotland Inhabitants. Ask the curator regarding photography at the exhibition. Do take some of the paintings as souvenirs. Contact gallery office regarding Sunday openings. At Road End is the nearest bus stop. How popular is Gallery Antalla Dearg? People normally club together Maggie Zerafa Ceramics and Skyelark Gift Shop And Photo Gallery while planning their visit to Gallery Antalla Dearg.